With all the hoopla about the recent announcement from Microsoft that Windows 8 will not support DVD playback nativly, I kinda confused on why everyone seems so upset and shocked. 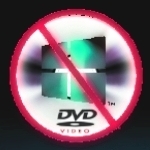 This does not mean that you will not be able to play DVD on Windows 8 machines, it only means that Windows will not include the DVD decoder within Windows Media Center for the Pro edition. Standard users are completely out of luck altogether with Media Center since it will not be included, you must have Windows 8 Pro. But fear not, this really is not a big deal and really it’s a good thing. Why you ask? Really it’s because there are already some solid DVD playback software apps already out there and will now only get better because they will be the only ones to turn to in the future. Since Blu-Ray playback was not supported at all in Windows 7 this really is not new news because Blu-Ray watchers had to turn to 3rd party solutions for HD video playback. So now the same will be true for both DVD and Blu-Ray. Read the official quote from Microsoft to see where they are coming from…. BurnWorld.com Microsoft Windows 8, Windows 8, windows 8 dvd playback. permalink. It all boils down to GREED companys are now so GREEDY that most are talking about how much they have not made in the first half of 2012. For some who don’t use DVD playback this isn’t a big deal but WMC in Windows 7 was one of the best features in my opinion. The reason I liked it was because it did everything. I have completely avoided Blu-ray on PC because of the need to have a third party program. Removing DVD playback just means I’ll be less likely to use WMC, and worries me about the future of MS. First V(f)ail, now W8. I never use Windows Media Player anyway. VLC Media Player or Media Player Classic are (a) free and (b) actually work with DVD files and don’t required a physical DVD. What’s the loss with not having Windows Media Player? I don’t see any. BTW, I just upgraded to a new Win 7 laptop to avoid Win 8 for the foreseeable future. So far Win 8 looks like “One Giant Step (backward) for Mankind”. Sorry MS I’ll stick with Win 7 and promise not to condemn those who still use Win XP. It looks to me as if MS will eventually “Strip Down” everything that made Windows what it is Today and what it was in the Past to a “Anorexic” Version of a Glorified Build of “Chicargo” or “3.1”! proverbial “Plug” out of the Bath Tub by Creating a Version of Windows that is more compatible with Todays Commerce & Industries and forgot about the roots of their Empire? Us – Yes, just us simple Folk who equate into the millions and the Dollars that have been spent.